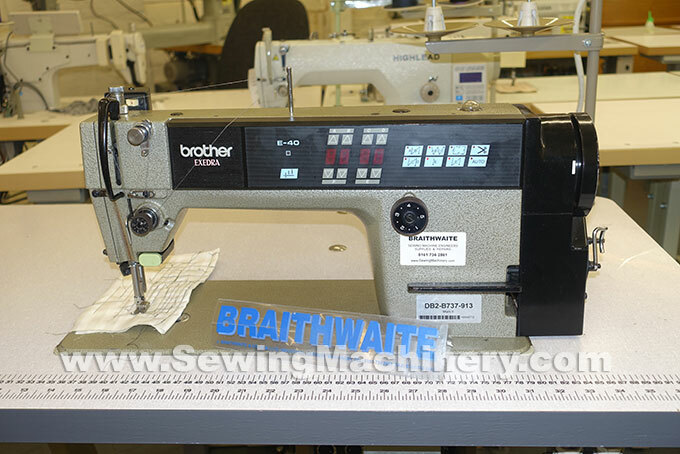 Brother DB2-B737-913 industrial sewing machine with automatic thread trimmer, auto reverse and electronic needle position motor. Fitted with E40 push button control panel and includes the optional auto foot lifter unit. 3 phase model for factory use made in Japan by Brother. Serviced (new trimming knives etc.) 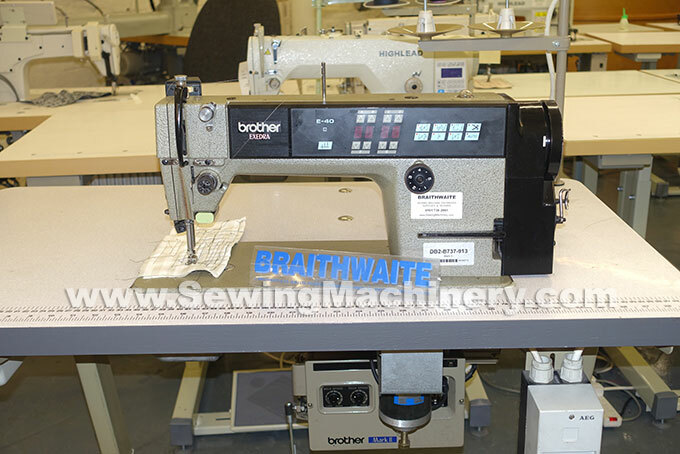 & tested with used machine RTB warranty included.